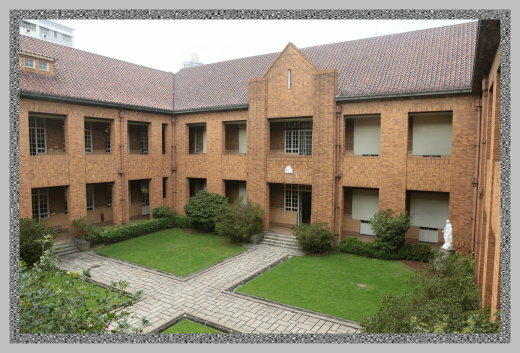 The 1937-built Main Building adopts the medieval monastery or collegiate layout of an open peristyle courtyard surrounded by cloisters. This design not only facilitates the cross ventilation of classrooms, but also maximizes the penetration of natural daylight, creating a nice environment for students and staff. The courtyard acts as a network node that encourages student interaction. It is also where the whole school gathers for the crowning ceremony of the Statue of Mary in the month of May. Copyright © 2013 Maryknoll Convent School 130 Waterloo Road, Kowloon, Hong Kong.